These are Ebooks. 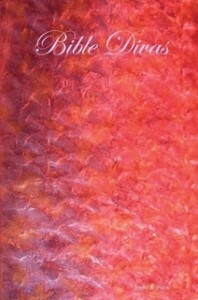 Print versions of these books can be purchased HERE. In all my mission parish work, education is a top priority, and the education of your children (and mine) the most important thing after worship. I have spent many years myself as a Church School instructor and Vacation Bible School teacher. Each of these is a tested, self-contained program for use in Church School, Vacation Bible School, summer programs, etc. I recommend you print up one booklet for each participant in your program. This program was created for altar servers at St. George Church in Prescott, AZ, and it is easily adaptable to any parish that needs a structured, tiered and incremental program to teach and retain young men as they grow in service to Christ at His holy altar. Includes all the information, Scripture, levels, expectations, duties and memorizations required for each rank. Adapt for your own parish and your own crew of altar servers! The Official S.W.A.T. 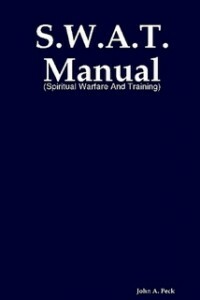 (Spiritual Warfare and Training) Team Field Manual. This program is designed for boys and girls using police ranks for programs serving boys and girls together. Contains all necessary information for rank promotion, physical fitness guidelines, and award etiquette in S.W.A.T. A fun Christian and challenging program for an exciting summer program. Recommended for Christian youth, boys and girls, ages 11-15. This program is similar in content and scope to the BIBLE DRILL and Bible Divas programs, but uses police ranks, instead of Military or Diva ranks for promotion. The Official Manual of the Bible Divas program for young women, ages 11-15. After the success of the BIBLE DRILL program, we created this manual for the girls in the parish – a wild success! This manual contains everything necessary for any Bible Divas member to advance from Candidate to Prima Donna Diva. At the first Diva level, (level 5), participants are awarded the Tiara! 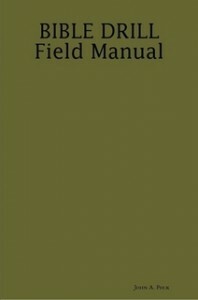 The Official Field Manual of BIBLE DRILL. This program was created with energetic boys, aged 11-15, in mind, and was used for many years during the summers in Canton, Ohio. Contains all necessary information for rank promotion (from Private to Sergeant Major), physical fitness guidelines, and award etiquette in BIBLE DRILL. 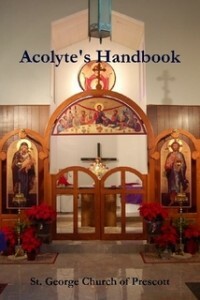 This is the standard manual for Orthodox Christians. Catholic and Protestant versions are available (if you run neighborhood programs, this is a good way to keep everyone involved!) This is the one that started it all! 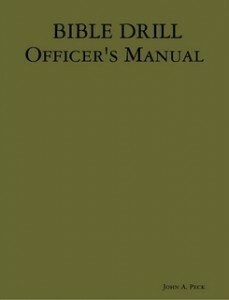 The Official Officer’s Manual for the BIBLE DRILL youth program. 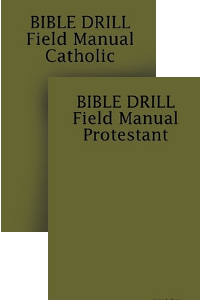 This manual contains the entire text of the BIBLE DRILL Field Manual, plus PFT scoring charts, schedules, skill assessment, unit registration, and much more! Absolutely necessary for anyone leading, or preparing to lead, a BIBLE DRILL youth program. Don’t leave the neighborhood kids out! These Field Manuals have been adjusted for use by non-Orthodox kids and teens in the neighborhood who may participate. References the Roman Catholic or Protestant canon of Scripture respectively for its faith work. Identical in every other aspect and can be used simultaneously in programs with the Orthodox versions seemlessly. No extra prep work, just give your heterodox participants this manual and test them directly from it. To save money and buy some of these titles as a Bundle, go HERE.